Promotion Products Pty. Ltd. has been a Brisbane-based market leader in the promotional marketing industry for over 14 years. We value the role of education in our community, and believe in supporting those who may need a little financial assistance in attaining further education. We recognize that many students suffer from financial strain during their time in tertiary education, and by offering this scholarship we wish to continue to support and grow the skills of the next generation who will enact positive change in their community. We are offering a bi-annual scholarship to an eligible student currently studying at an Australian University or Further Education College, to assist them with the cost of living and the expenses of being a full-time or part-time student. This scholarship will be awarded and paid each June and December, and while multiple applications are accepted, each winner may only receive the scholarship funds once in order to provide a wider net of students with the support they need. Applications for Febuary 2019 scholarship must be received by January 15 2019. Applications for August 2019 Scholarship must be received by July 15 2019. Attach your application essay in a word document. We look forward to reading your submissions and helping the winners meet their education costs. Our Winner this year is Sarah Olsson. Sarah is commencing a 3-year Bachelor of Nursing degree at CQU Rockhampton. Sarah is from a small community, Wowan, which is south west of Rockhampton. It was through her father having a farming accident that Sarah said, “The accident helped me realise my desire to pursue a career centred around helping others, in the form of Nursing”. Sarah also shows a strong history of volunteering in the local community fundraising events, the Show society, Drought appeal, Red Shield Appeal, as well as sponsoring an African child through Compassion. With this ingrained desire to help the community, I am sure you will make a wonderful Nurse. We wish you well with your studies. Our winner for August 2018 is Emily Boyle. 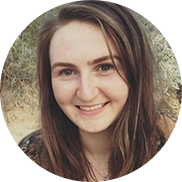 Emily is completing a Master of Dietetics at Deakin University. Finishing this postgraduate course in June 2019 Emily impressed us greatly with her vision of using her qualification to help others in the future. “My passion to complete a Master of Dietetics directly coincides with my desire to use health and nutrition to improve the lives of those suffering chronic disease and malnutrition in developing countries. I am striving towards giving myself the best education and knowledge base to attain the skills and professional experience to make a global difference”. Like other previous winners of our scholarship Emily could demonstrate a strong record of volunteering, we believe that past behavior is a strong indicator of future behavior so we have absolute faith that our scholarship well help Emily help others. Congratulations go to Caleb who is the winner of our February 2018 $3000 Scholarship. 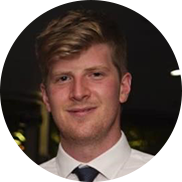 From Alice Springs Caleb is a third year Law and Arts student at the University of Adelaide and will graduate in 2020. 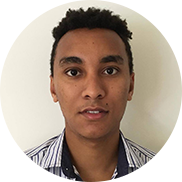 Since High School Caleb has demonstrated a high level of engagement with his local community in youth orientated projects. With a great interest in equality and justice for marginalised groups he wants to use his law degree to help others that have not been provided the same opportunities as himself. Here at Promotion Products we also share a belief in people reaching the peak of their human potential so Caleb’s passion for this excites us. Well done Caleb, keep up the good work, we are sure this is not the last we have heard of Caleb Maru! “that I am drawn to and take enormous satisfaction, pride and happiness from helping others. …in my opinion two of the most important personal characteristics of a health professional are compassion and resilience”. He went on to outline that he aimed to work in rural areas both here in Australia and in the wider world. These funds are going to be used for textbooks, learning equipment and placements costs. Well done Stephen, we wish you the very best for your future and all those you come in contact with! Mrinal is studying Geosciences and has an area of particular interest in sustainable exploration of and use of groundwater. In India, where Mrinal is from, the provision of clean water is an enormous issue and it is hoped his work will make a difference to many communities not just in india but across the world. 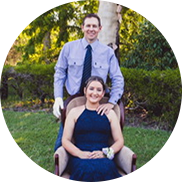 Studying a Bachelor of Education (Primary) the judges were impressed with Kelsi’s passion for education and her belief that education ‘sets the foundation for the next generation’. Despite personal hardships and obstacles Kelsi is focused on using her education to empower others – this creating a virtuous circle. We like that idea a lot Kelsi, all the best! Send your applications now for February 2019 - closing date is January 15, 2019.